Over at The Present Perfect, we love gifting books to kids. So it’s always exciting when we come across an extra-special read. 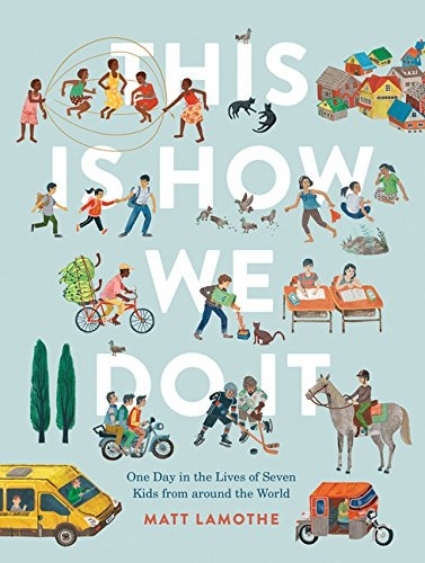 This is How We Do It: One Day in the Lives of Seven Kids from around the World follows one day in the (real!) lives of seven kids from Italy, Japan, Iran, India, Peru, Uganda, and Russia. It’s beautifully illustrated and very interesting—and serves as a reminder that although people can be very different, they can also be so fundamentally similar. A lovely read!